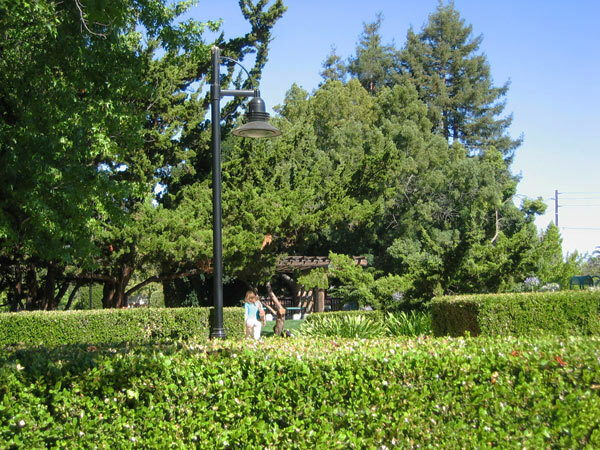 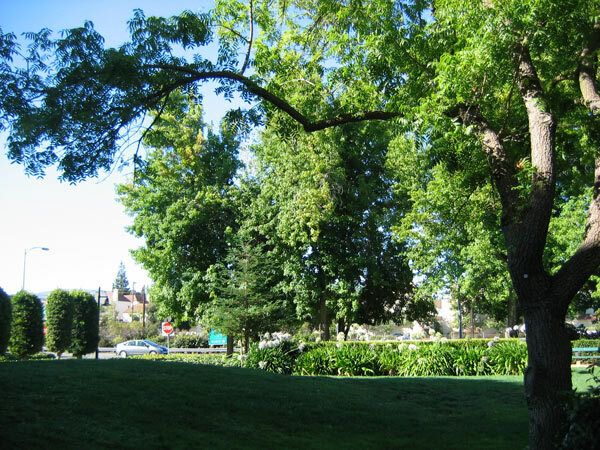 This three-acre park, situated across the street from the North California Avenue commuter rail station, was redesigned for the City of Palo Alto by Robert Royston in 1960. 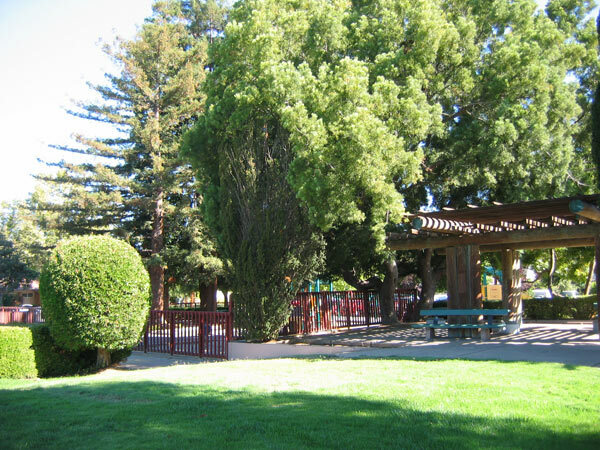 Despite residents’ demands for a parking lot to replace an existing lawn and playground built in 1952, Royston carefully integrated the station and surrounding suburban neighborhood in his design, envisioning a space where families could meet upon returning home from work. 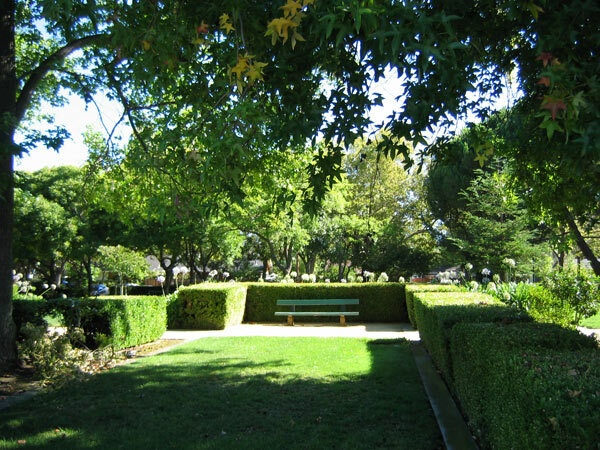 The rectangular park is structured primarily as a stroll garden that connects to the station via an underground tunnel, with ornamental plantings, a small playground, private seating areas, and a central lawn area. 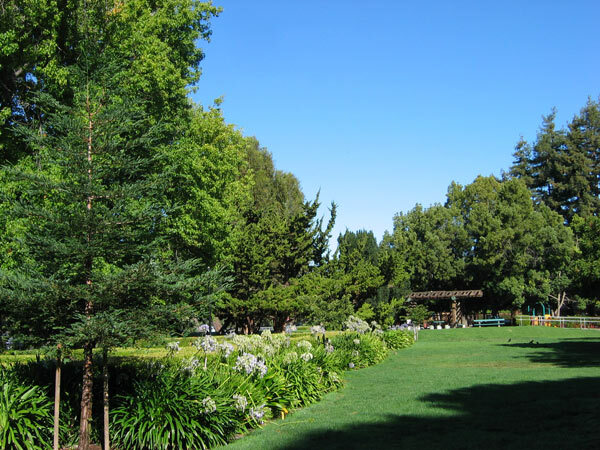 The design is consistent with Royston's work at Mitchell Park (1956) and Chinn Garden (1950), combining strong axial symmetry with gentle topography and colorful geometric furnishings and fencing. 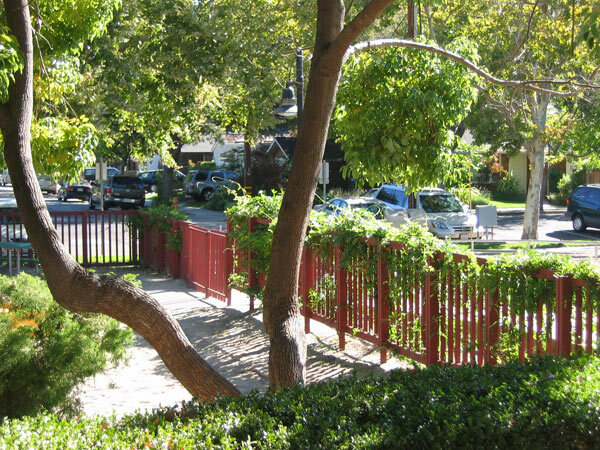 Painted wooden benches line the pathways, partially surrounded by trimmed boxwood hedges for privacy, and strategically-placed trees provide shade and screen traffic from the nearby street. 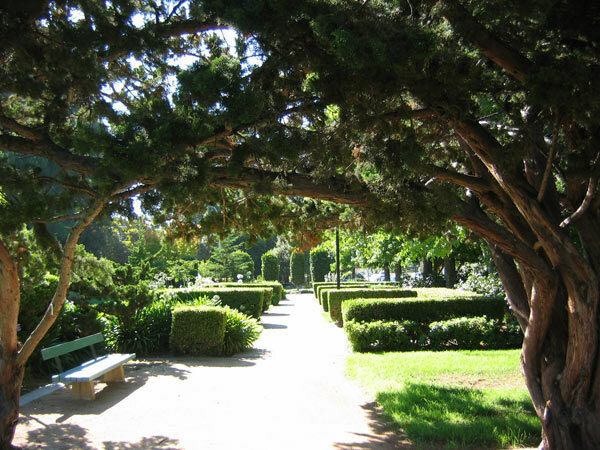 The park also includes extensive ornamental planting, unusual in Royston’s park designs. 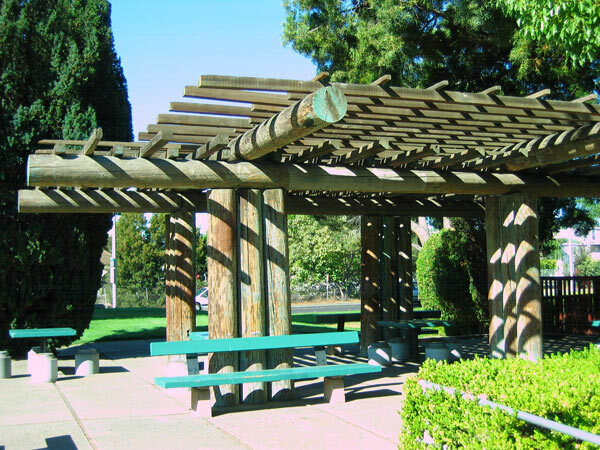 A rustic log shelter placed at the northwest entrance shelters a shaded seating area complete with concrete tables and seats recycled from capped sewer pipes.